The Wisconsin Historical Society has statutory responsibility to collect, maintain and make available for use permanently valuable records of Wisconsin's local governments, school districts and courts. 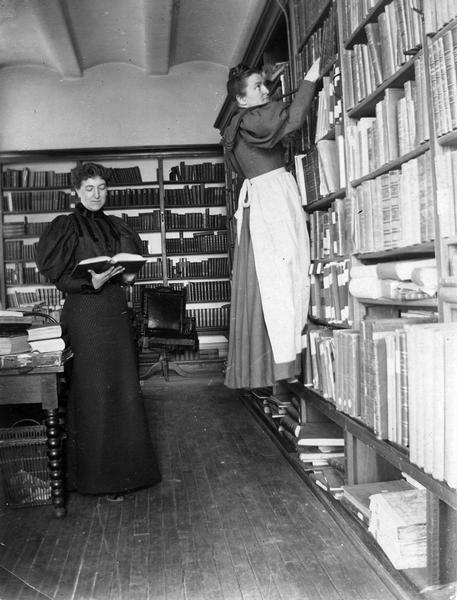 Pre-1907 birth, death and marriage records are available in the Society Library and at Area Research Centers. Most local government collections are physically located at Area Research Centers (ARCs) and not at the Society headquarters building in Madison. Only records for Columbia, Dane, and Sauk Counties, as well as some recent acquisitions from other counties, are housed at the Society headquarters building in Madison. See the counties served by each Area Research Center. To search for local government records in the custody of the Wisconsin Historical Society, use the Library Catalog. If you have specific reference questions, visit the Archives Reading Room or your local Area Research Center. If you work for a local government and would like more information about the Local Government Records Program, visit the Local Government Records Program page. For questions regarding the transfer of records, please send an email to govarc@wisconsinhistory.org.